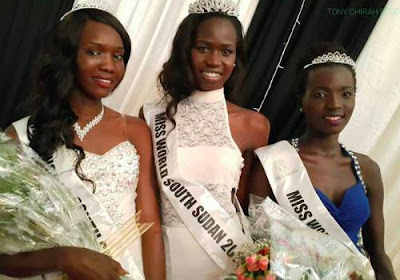 Ajaa Kiir Mochol, a 22 years old Accounting and Finance graduate of Kenya Methodist University won the Miss World South Sudan 2015 crown. 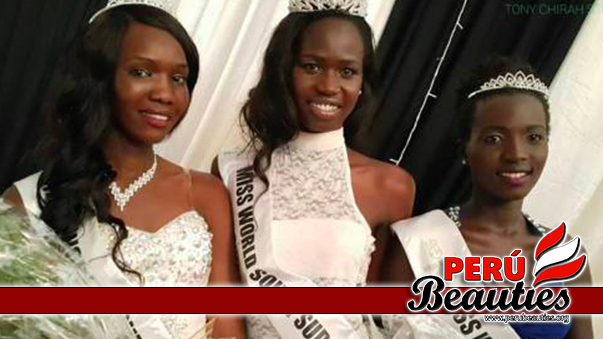 She is currently working for the Government of South Sudan as an Accountant in the Ministry of Environment. 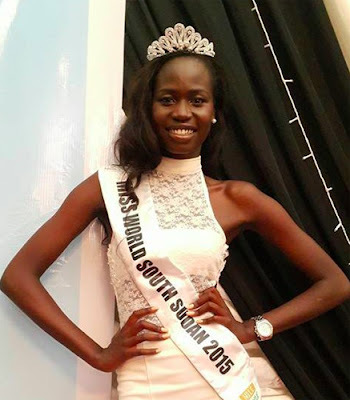 Ajaa will represent South Sudan at the Miss World 2015 finals in Sanya, China. 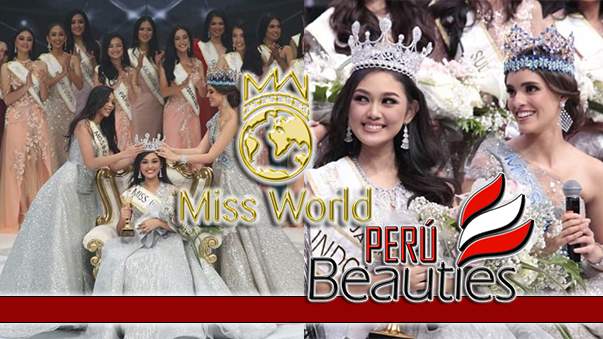 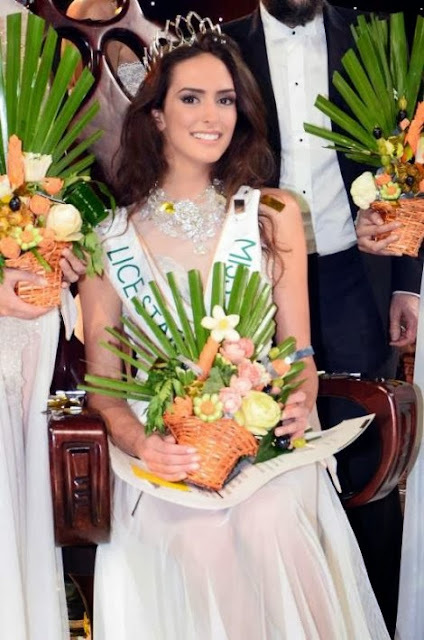 Ajaa Kiir Monchol’s first Runner Up is Angelina Santino, a student of Engineering Petroleum and Gas at a university in Malaysia. 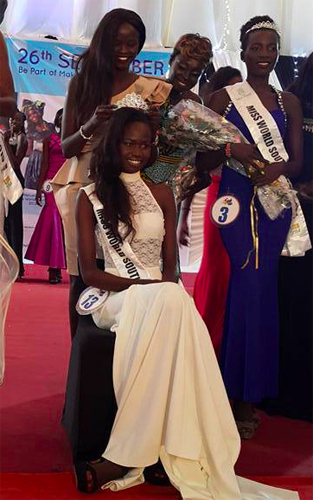 The 2nd runner-up is Apio Josephine Adelino, 20 years old and a 3rd year Journalism and Mass Communication student at South Sudan Christian University.